Since late November 2017, South Korea has looked to regulate cryptocurrency trading in domestic exchanges. South Korea’s primary financial regulator is in discussions with counterparts in China and Japan toward the regulation of cryptocurrencies like bitcoin. South Korea is the world’s third largest market in bitcoin trading, after Japan and the U.S., and the largest exchange market for ether, accounting for more than 33 percent of its market share. The co-operation between the three nations is particularly notable as they make some of the world’s largest trading market for cryptocurrencies including bitcoin. While China’s central bank has effectively shuttered the local bitcoin industry, Korean authorities are engaging in their own ‘crackdown’ on anonymous cryptocurrency trading while Japan, in contrast, has passed legislation in April 2017 to acknowledge bitcoin as a legal method of payment. Currently, cryptocurrency exchanges are mostly unregulated in South Korea (as is the case with most countries across the world), since cryptocurrencies are not recognized officially as financial products. By extension, there are also no rules in place for protecting people who invest in them. South Korean authorities followed China’s cue in issuing its own ban on all initial coin offerings soon after in September 2017. More recently, the government issued a statement pushing for a ban on anonymous bitcoin trading in the country, weeks after Korea’s prime minister deemed the heightened appetite for cryptocurrencies among citizens as a “pathological phenomenon”. Japan, meanwhile, has already enforced regulations and guidelines for cryptocurrency exchanges and the industry, after recognizing bitcoin as an legal method of payment in April 2017. Such is the adoption and acknowledgement of bitcoin that Japan’s biggest bank -notably an investor in a major Japanese bitcoin exchange – is preparing to offer the first-of-its-kind trust service to bitcoin adopters in the country. Japanese officials said they had no plans to ban digital token sales or initial coin offerings (ICOs).Presently, Bitcoin, Litecoin, and the majority of the currencies in the cryptocurrency market are being used as stores of value and safe haven assets. 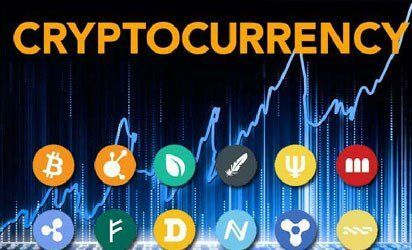 Just a small part of users are utilizing cryptocurrencies to process payments, mostly on account of the scalability issues of cryptocurrencies like bitcoin and Ethereum. Experts believe that in 2018, we can expect that governments will increase control over ICO market and cryptocurrency exchanges. Asian giants agree on the crypt of the Three countries play a significant role in the global market of cryptocurrencies, at the same time, the approach to the industry different. But what’s going to be interesting is, in the future, there’s going to be a day when end-to-end, all the services are going to be done and concluded and paid in cryptocurrencies.